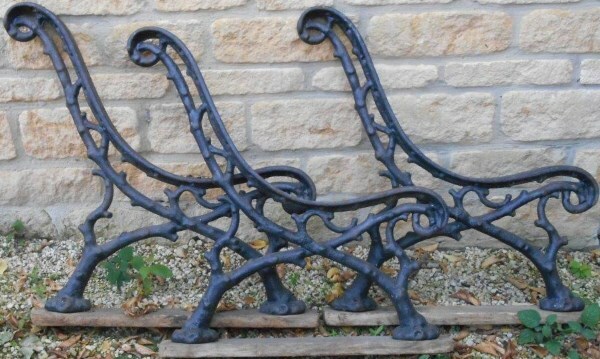 Lot 13 Three C/I Taff Vale Railway "BENCH ENDS". Still affixed to the original bottom timbers. Once in use on Cardiff Queen Street Station. Purchased direct with a scrap note. Could "Sir Tom Jones or Dame Shirley Bassey" ever sat on them? Never been in auction before.